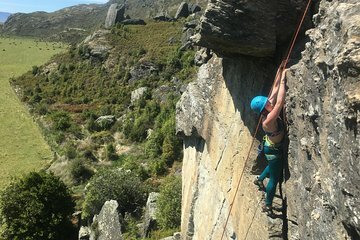 Climb your way up to some otherwise-inaccessible views of Lake Wanaka and Mount Aspiring National Park on this full day rock climbing trip in Matukituki Valley. If you’re a new climber, you’ll be able to learn from your qualified instructor without fighting for their attention on this small group tour. If you’re a more experienced climber, this tour will take you to a climbing site that will challenge your skills.